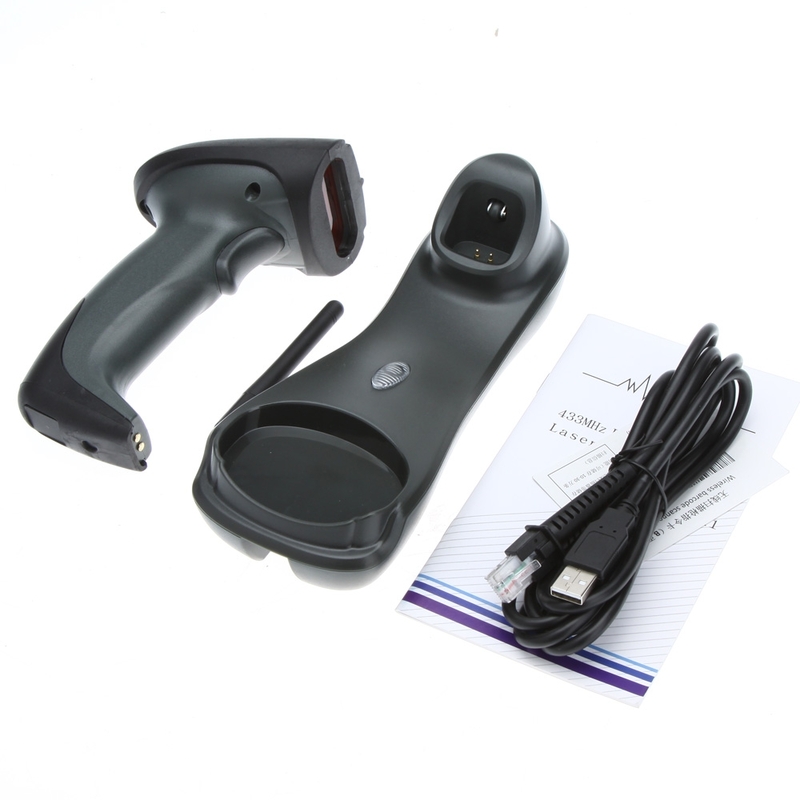 JM900 is a well designed gun type wireless laser bar code scanner which is designed specifically for retail market. Introducing new series models of housing, we include friendly functions with the replaceable interface cable that makes it more easily to be operated by the customers. Simple plug and play function. JM900 is absolutely a high performance laser scanner which supports long range operation up to 100m. There are multiple interfaces available for selection, include RS232, Keyboard wedge and USB interfaces. For hand-free operation application, customers can easily configure by themselves to facilitate it to be hand-free reading. The scanner and cradle communicates on 433mhz so no interference on any wifi or bluetooth network range up to 100m / 328.08 ft.
Scanner has automatic sleep and wake-up mode which can provide the customer with the most cost-effective solution in the market. It is perfectly suitable and definitely the best choice for any retailers using POS environment. 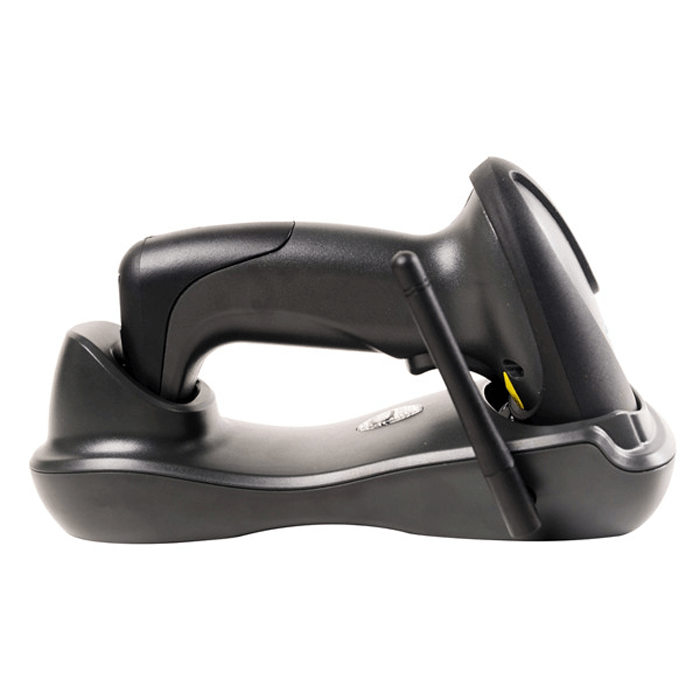 General purpose handheld gun-type laser bar code scanner. Reads most 1D bar code symbologies include GS1 Databar codes. Support automatic detection and wake up scanner to read. Easy to program using bar codes. Works on 433mhz so no interference with any wifi network. Support Batch transmission mode, memory capacity stores up to 300,000 inputs of barcodes. Decode capacity UPC-A, UPC-E, EAN-13, EAN-8, ISBN/ISSN, Code 39, Codabar, Interleaved 2 of 5, Industrial 2 of 5, Matrix 2 of 5, Code128, Code 93, Code 11, MSI/PIESSEY, K/PLESSEY, CC/EAN128 code and many other 1D barcodes.